The Similan Islands are located in the Andaman Sea on the West Coast of Southern Thailand, in Lam Kaen, Thai Mueang District, Phang-nga to be exact. The Similan archipelago consists of eleven islands, which are called Koh Bangu, Koh Bon, Koh Ha, Koh Hin Pousar, Koh Huyong, Koh Meang, Koh Payan, Koh Payang, Koh Payu, Koh Similan and Koh Tachai. 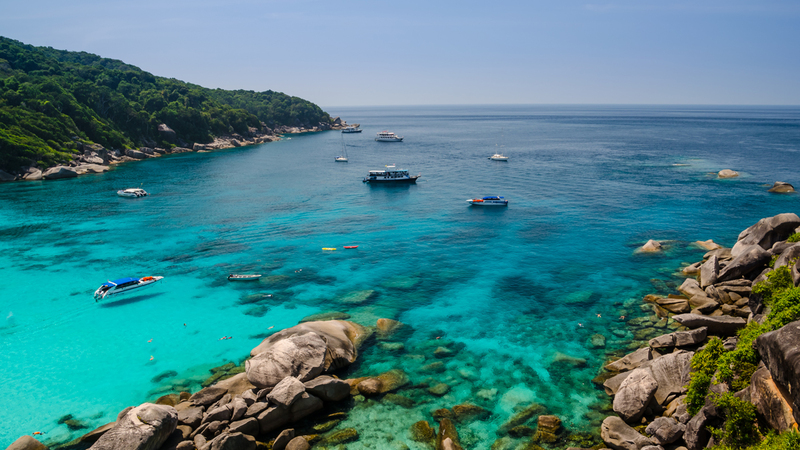 All the Islands are located in the Mu Koh Similan National Park, which covers over 140 square kilometers. The Islands are the perfect travel destination for tourist that like to dive and explorer remote and desolated places full of wildlife. 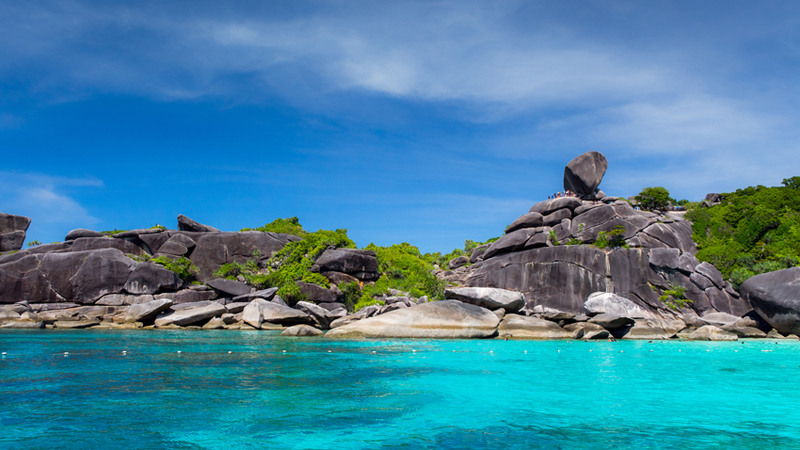 The largest island is Koh Similan and is probably the best place to start your adventure. All the Similan Islands are surrounded by crystal clear shallow waters that harbor excite rock formations and spectacular coral reefs. 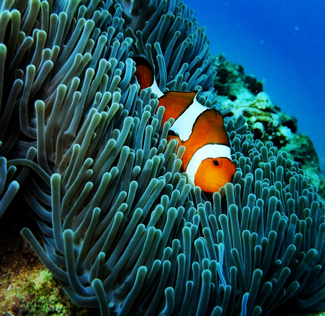 The marine life around the Islands is unmatched in Thailand and the region. Similan Islands means Nine Islands in Yawi, which is the native tongue of the area. In 2014 the National Park expanded its area and the two islands Koh Bon and Koh Tachai where placed under its protection. On our website you can find all the information you need to make a beautiful journey to the Similan Islands. Depending on your travel needs we can give you advice on which islands to visit. 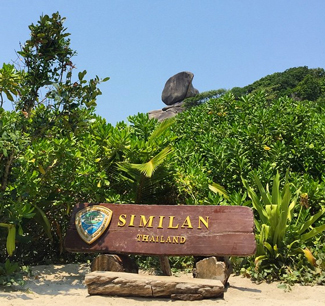 Additionally, we are able to tell you more about the history, geography, climate, native inhabitants and animal life on the Similan Islands. Furthermore, the most local tour guides will be able to bring you to the bests reefs and beaches around the islands for relaxing, snorkeling or diving. But with our travel tips you will be able to plan your trip to Koh Bangu, Koh Bon, Koh Ha, Koh Hin Pousar, Koh Huyong, Koh Meang, Koh Payan, Koh Payang, Koh Payu, Koh Similan or Koh Tachai before contacting any tour agency. We can also help you find accommodation on the Similans. National Geographic Society ranked the Similan Islands as “One of the Top 10 dive destinations to visit in the World”. Spotting might Manta Rays & Whale sharks basking around the massive boulders is truly a spectacular sight. The fragile and unique eco systems on the Similan Islands are one of the major attractions of the area. But because the fragility of the nature reserve it can’t endure the massive tourist industry. Therefore, the Government of Thailand is protecting the Islands by closing them down for the public during the Monsoon season, which starts around May and ends in October. Between these dates the park is closed for all tourist and other visitors. Unfortunately the remoteness of the Islands does not fully protect them. Since, in the monsoon season local fishermen conduct a high amount of illegal fishing which sadly enough batters the fragile coral reefs. Additionally, some of the Similan Islands are prohibited for to enter all year around because unique species of sea turtles are nesting on the beaches. You can find all the information about these restrictions on our website. 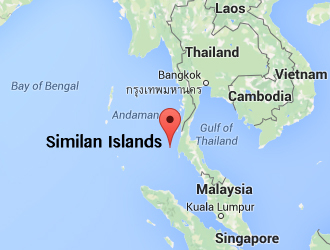 Read more on how to get to the Similan Islands here. In the year 1982, just one year after the full exploration of the islands, the Similan Islands became a protected National Park of Thailand. Since then the Thai Government is restricting access to multiple islands and beaches to protect the wildlife on the Islands. Additionally law prohibits sport fishing and commercial fishing in certain areas. This helps in protecting the wildlife that is absolutely pristine and unique for Thailand. On the Similan Islands you will find various varieties of tropical singing birds, reptiles, small critters and amazing sea creatures that migrate onto the land. The Andaman Sea around the islands is one of the best-kept secrets of Thailand. Because the crystal clear blue water that is filled with marine life, which makes spotting, sharks, barracudas, triggerfish and various nemo’s not a problem. With our help you can find the best coral reefs for diving and snorkel and start explorer these desolated underwater worlds. We work together with Wayfaring.nl to preserve nature and habitat in Thailand.